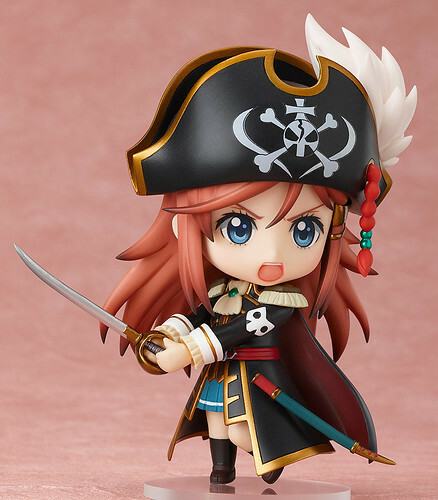 From the anime series ‘Bodacious Space Pirates’ comes a Nendoroid of the young high school student who ends up becoming the captain of a space pirate ship, Marika Kato! 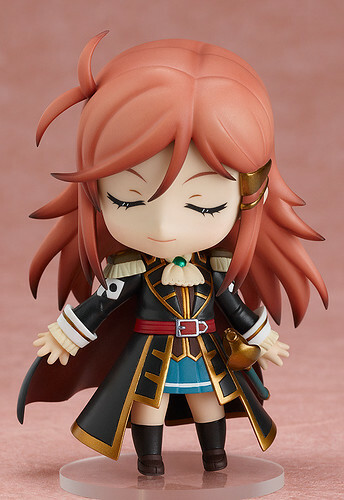 She comes with three expressions including her standard smiling face, a determined expression as well as a much more relaxed expression with closed eyes. 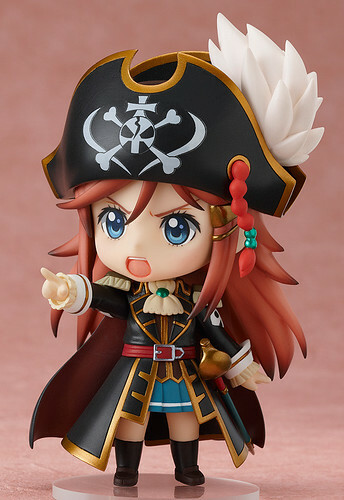 She comes with a variety of optional parts including her pirate hat, a sword, her cape and even replaceable arm parts that allow you to pose her giving the orders to attack. She even comes with her firearm, the ‘Armor Light Anti-Armor Beamgun’ which she can hold in her hands to recreate one of the key visuals for the series. 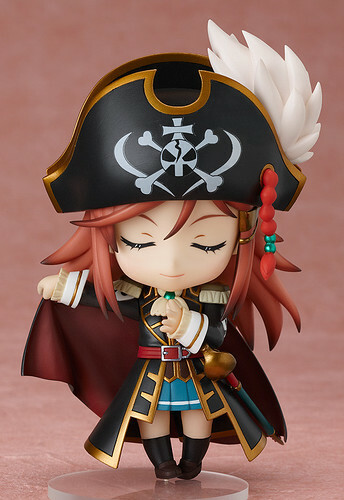 Yes, her pirate hat is removable! 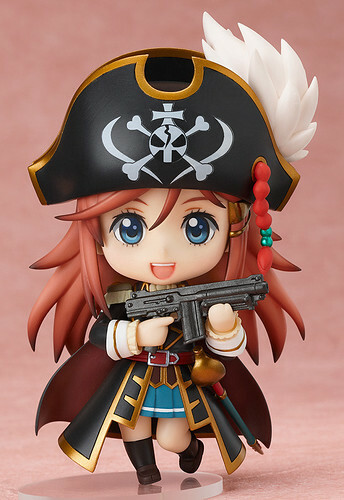 She is scheduled for October release and priced at 3800 Yen. 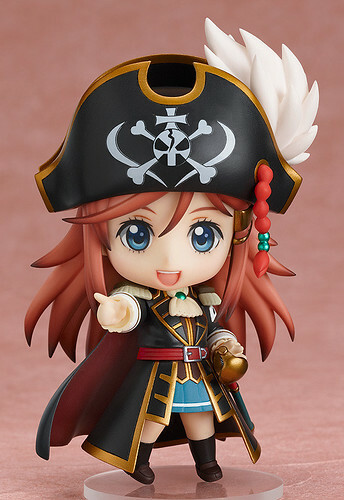 This entry was posted in News and tagged katou marika, mouretsu pirates, nendoroid. ← Bootleg Nendoroid Kagamine Rin and Len: Cheerful version are Spotted – Beware!